Look how they march playing music: I’ve fallen in love with the Marche region of Italy. I will be sharing more and more of this love with you. June 2, 2018 we visited Ascoli Piceno. There we saw a Bersaglieri fanfare present itself at the occasion of the Day of the Republic. 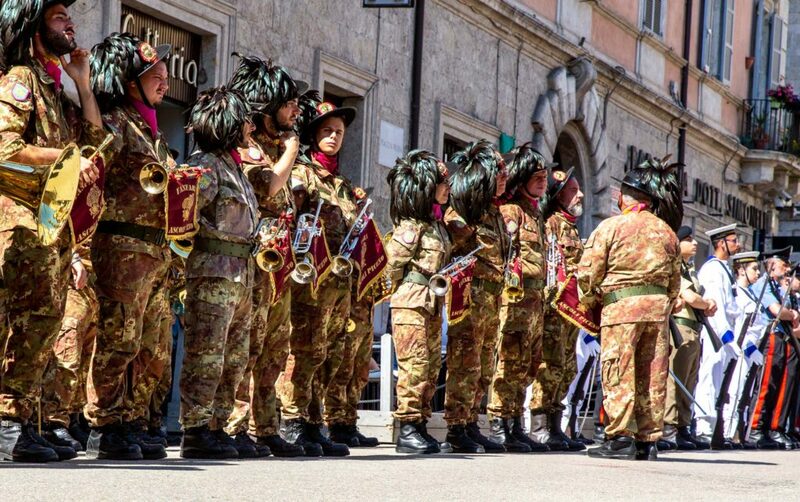 Bersagieri are elite … Continue reading "The Bersaglieri of Ascoli Piceno"